Steve’s latest invention, the affordable MedsBuddy, is a high-tech, yet easy-to-use medication storage device that helps patients accurately stay compliant with their medication intake. 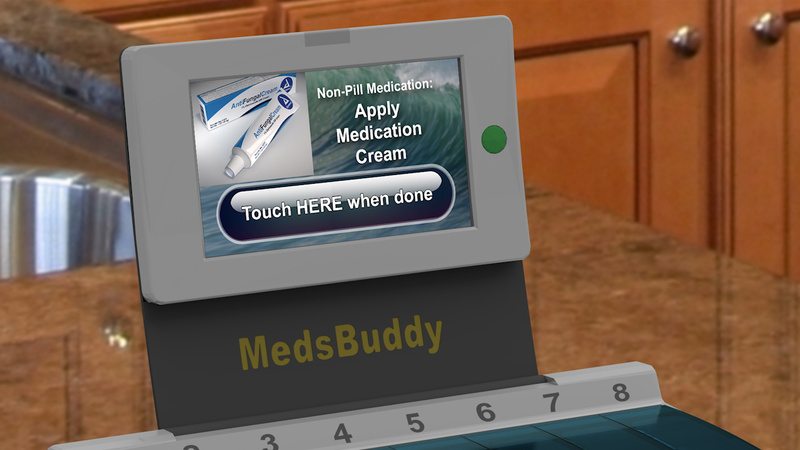 Acting as a virtual assistant, MedsBuddy helps patients organize and store 90-day supplies of up to eight different medications. The pleasant alarms and voice prompts alert patients when it’s time to take their medication, dramatically improving compliance while reducing forgetfulness and confusion. The accompanying smartphone app will remind patients when to take their medication while alerting a caregiver if medication is missed. Steve conceived the idea for the smart dispenser while responding to emergency calls. He made note during 911 calls of how many times medications were disorganized, and the patient unclear on which meds they had taken and when. 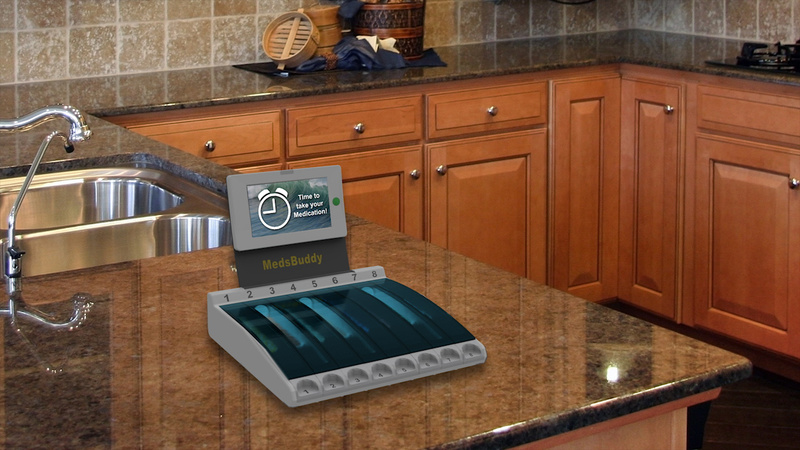 Fortunately, the MedsBuddy eliminates guesswork. 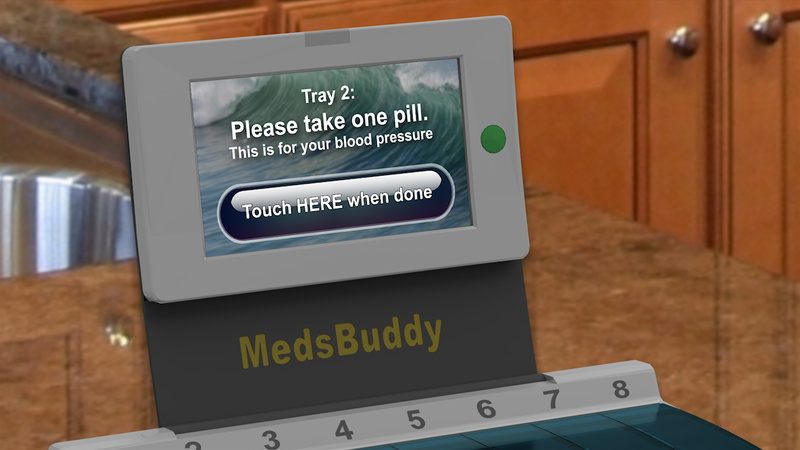 Emergency personnel can consult the MedsBuddy screens and icons, which will quickly identify the dosage and types of medications prescribed, allowing them to assess and treat patient situations much more efficiently. 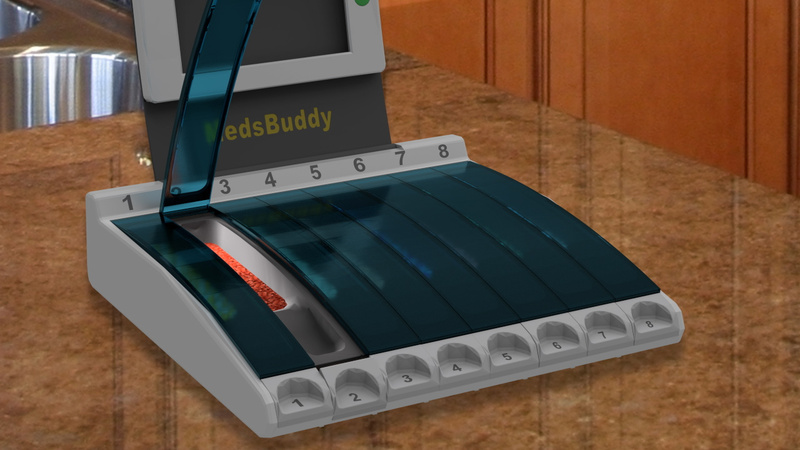 The intent is for the MedsBuddy to interface with national pharmacy chains to update medication information within seconds. 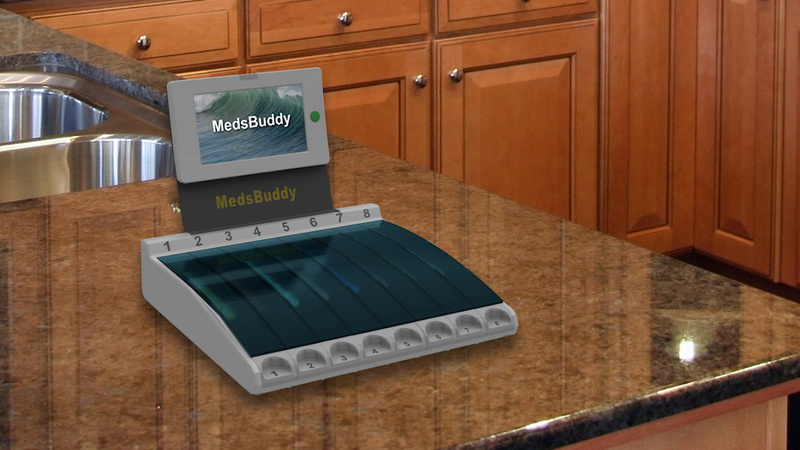 For peace of mind, the MedsBuddy is password protected, keeping meds safe and secure. 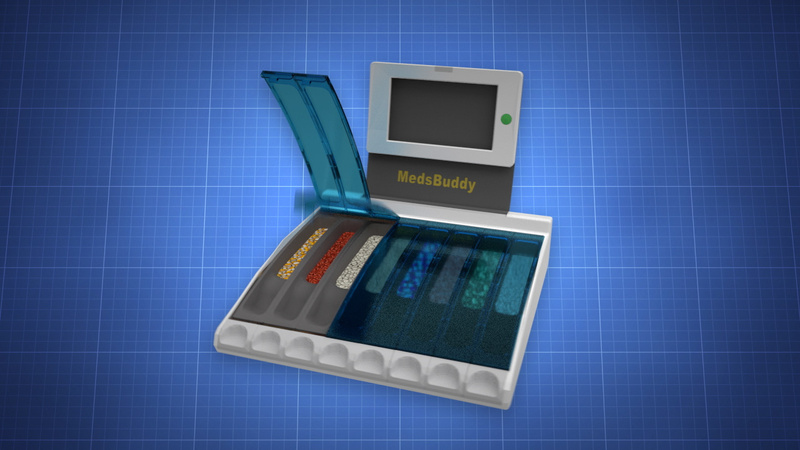 In short, the MedsBuddy improves quality of life and saves lives by reducing medication errors. 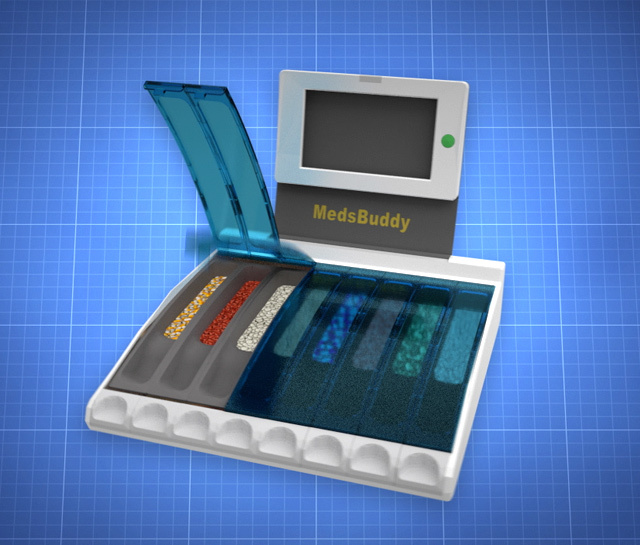 This smart dispenser makes medication compliance—especially for those over 65 and on multiple medications— virtually foolproof.